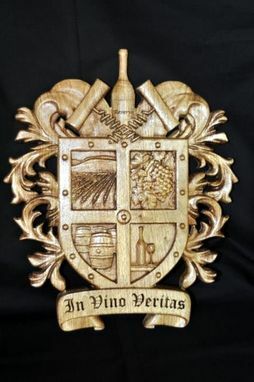 We create custom art for wineries, restaurants, bars, and homeowners. This carving is approximately 12" x 14", and is glazed butternut. These can be customized as requested by you. Nearly any element of these can be changed, including the size and location of the scrolls and the specific text. 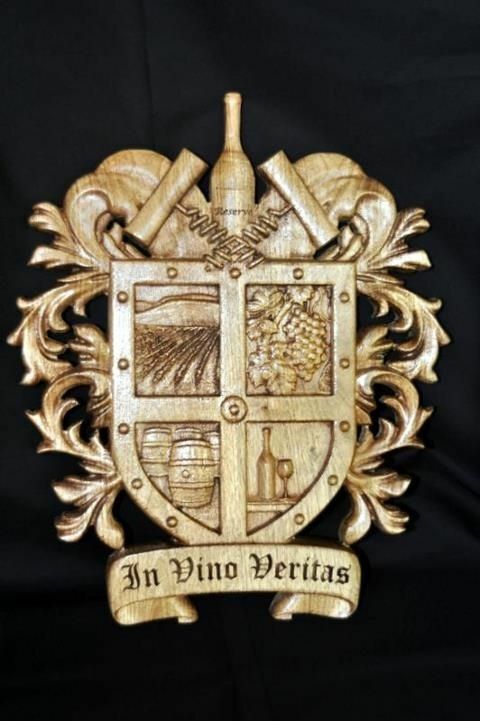 Want a coat of arms that say's "Pine Hill Winery"? We can do that! !